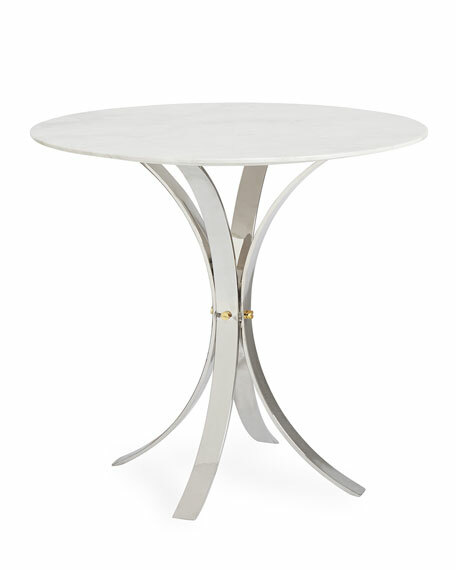 Our multifunctional Electrum Café Table is the perfect dining table for a petite apartment, or entry table for a larger lair. Also fab as a generous end table for a high arm sofa, like our signature Lampert. 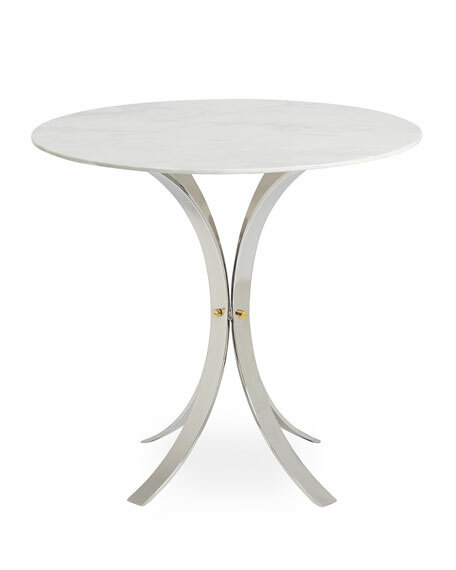 Table with polished nickel base. Polished brass flat head screw details. Marble top with bull nose edging.